There’s a definite strategy to giving the perfect gift – it should be memorable, impressive and unique. We’ve got you covered on all these key points and more with Snake River Farms’ American Wagyu Tomahawk Steak Package. Their Tomahawk Steak is just about the most spectacular ribeye you can put on your grill. Just imagine 2 of these 2.5 lb. 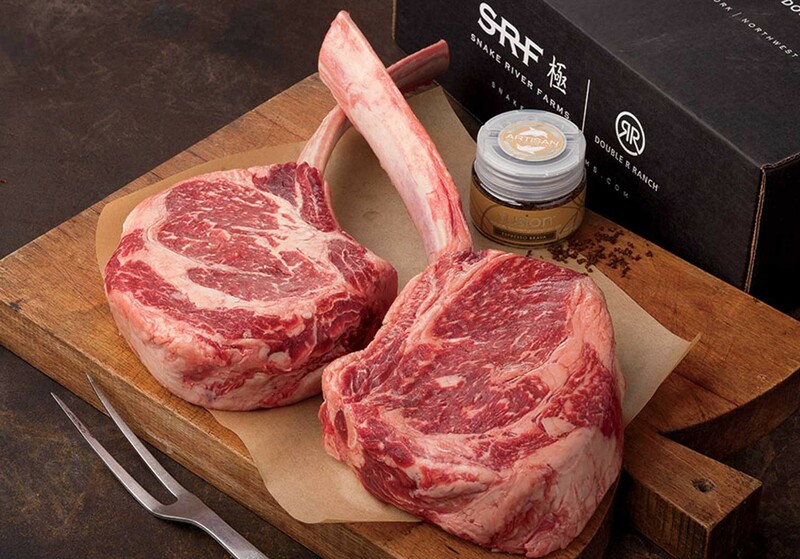 long-bone steaks in a Snake River Farms gift box and you’ll see the vision of grilling nirvana that will be delivered to the door of the fortunate few on your gift list. Included in the package is their top-selling Espresso Brava Salt which combines the richness of espresso coffee with the crunchy texture of sea salt to provide an unexpected and delicious finish to any steak.